Washington, D.C., May-June 2018. Directed by: Mark Wing Davey. Set Design: Luciana Stecconi. Costume design: Ivania Stack. Lighting Design: Reza Behjat. Sound design: David Lamont Wilson. Projections design: Paul Deziel. Cast: Hadi Tabbal, Dina Soltan, Nora Achrati, Michael Kramer, Schpend Xani, and Elan Zafir. THE VAGRANT TRILOGY received a finishing commission from the Public Theater in 2017. 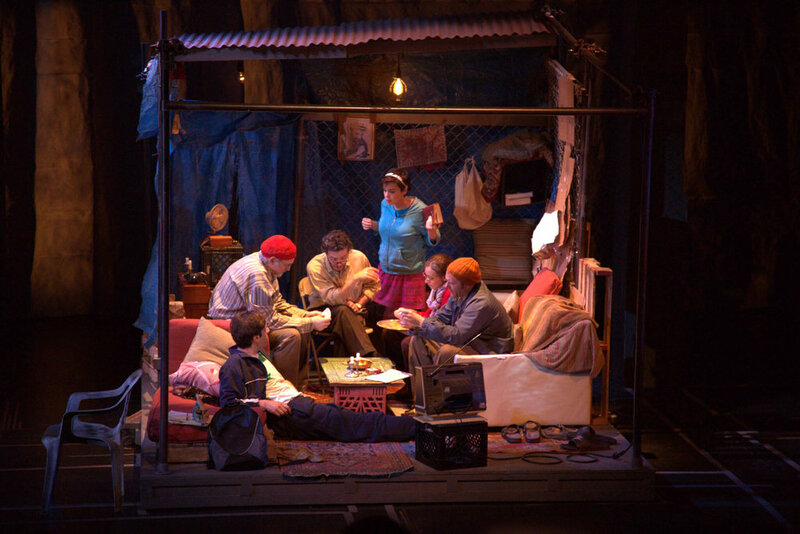 The second play in the the trilogy, THE VAGRANT, was originally commissioned and developed by The Public Theater as part of the Gail Merrifield Papp Fellowship.